Over the past few days, my social media timeline has been full of angry people, predominantly in the UK and predominantly attacking people of note within the UK1. This is, sadly, nothing new. However I have noticed a further decline in the quality of debate, perpetuated by the strong emotions of what has happened in the world. People whose opinions I respect and who normally make reasoned arguments have posted some pretty vile language that is literally “[person] is a [expletive]” in regard to Brexit, the NHS, Southern Rail and a whole host of regional issues. If this was directed at someone with whom they agreed, then there would be, legitimately, outrage. Name calling someone is never a valid argument. Didn’t we all grow out of this at school? Apparently not. I get that emotion leads to expressive language and sometimes there is the need to let that out and we don’t always choose the correct words. I also get that media, social or otherwise, is driven by attention and emotive posts get that attention. It’s frustrating seeing the decline of debate into sentence soundbites that continue to polarise and be divisive: you are either on the left or the right, you are either leave or remain, if you’re not with me, then you’re my enemy. We are complex beings that don’t sit neatly into binary checkboxes, although have a tendency to classify what we see in a binary way, but it’s not that simple2. As I’ve written before, think critically. Don’t just repost name-calling abuse. Don’t make ad hominem attacks on people with whom you disagree. 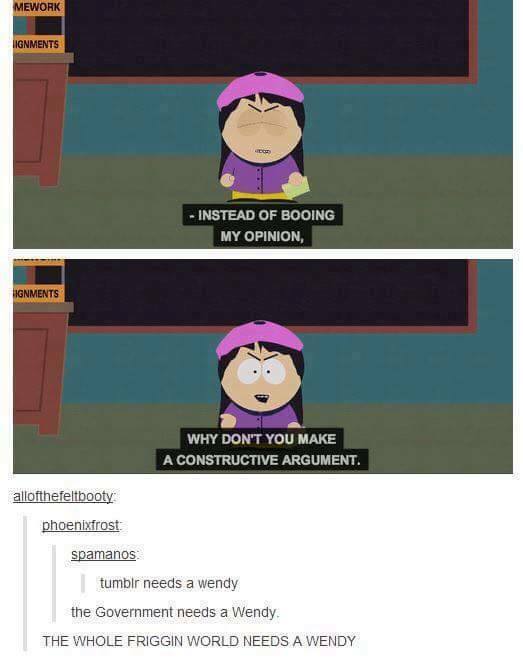 Make a better argument. The world needs us to step up.